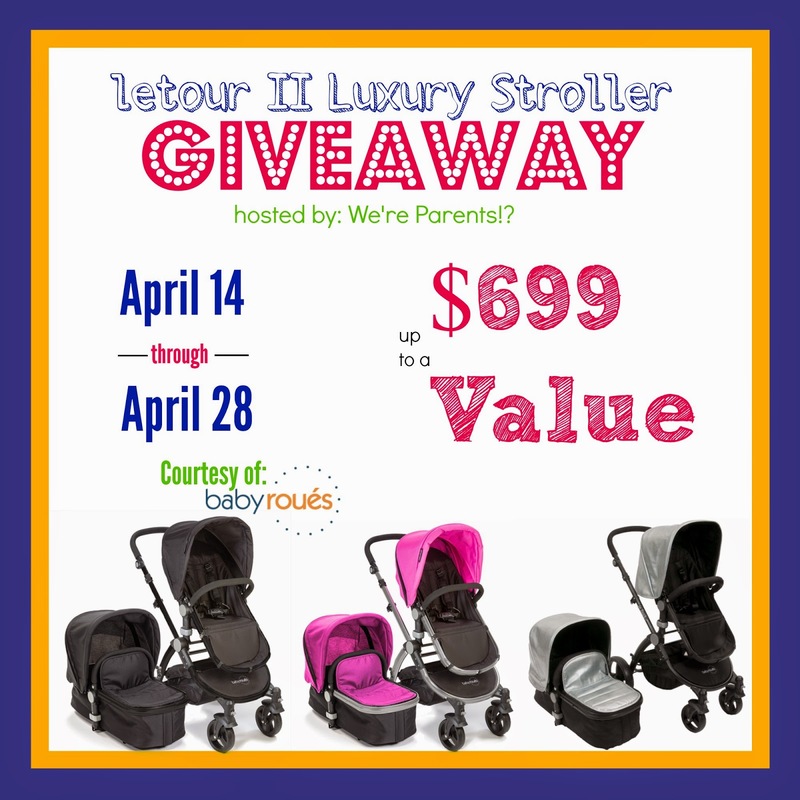 baby roues LeTour II Luxury Stroller #Giveaway! Finding a great stroller is like shopping for a car. There are tons to choose from with a huge variety of features. If you love a lightweight, stylish and versatile stroller, I recommend checking out the Letour II Luxury Stroller! Read a full review of a baby roues LeTour stroller HERE. babyroues proudly introduced the first compact and lightweight luxurious infant-to-toddler Bassinet and Stroller system, which uses the highest technological quality workmanship and safety features available. For your ultimate convenience the stroller and bassinet have a Dual-facing capability. It's ONE OF A KIND folding mechanism allows for the bassinet and stroller to fold while attached to the stroller too! This system will WOW you and your baby from infancy through toddler. Prices for this luxury stroller start at just $579 for the LeTour II with upgrade options available for the LeTour Lux II and Special Collectors Edition LeTour Demin. Enter using the Giveaway Tools form below. One lucky winner will win their choice of ANY stroller from the baby roues collection. Good Luck! Open to US Only (Void where prohibited)!! Ends 4/28/14 at 11:59 PM EST. Disclosure: We're Parents!? and this blog are not responsible for prize fulfillment/shipment. We're Parents!? received monetary compensation to facilitate this giveaway. Participating blogs did not receive compensation for promoting this giveaway. Social media sites are not affiliated with this giveaway. The Letour Denim is awesome. Growing Green Earth Day #Giveaway! JJ Cole Metra Diaper Bag (Clover) #Giveaway! Recaro Performance Sport Car Seat #Giveaway!